The National Commission for Women (NCW) team probing the violence in Banaras Hindu University (BHU) in September, on Friday indicted the former Vice Chancellor for the incident. 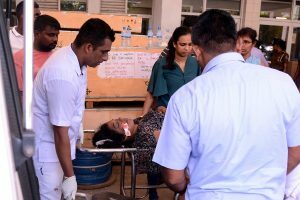 Sharma said the girls told them during the probe that their agitation had been “taken over” by some outsiders and it was they who were responsible for the agitation going violent. The NCW Chairperson also said that there was a lot of eve-teasing and harassment of girls on the university campus and the situation in the hostels was very bad. Many a time, boys were spotted outside the windows of the girls’ hostel, she said. She also called for enhanced security outside hostels, especially girls’ hostels. Hi-tech cameras for 24×7 monitoring of the campus have also been recommended. The CCTV cameras of specialised kind have, however, been already installed on the campus. The Senior Superintendent of Police (SSP), Varanasi, has meanwhile also been asked by the women’s panel to get 50 unlawfully staying students out of the hostels. Girls alleged that they had raised the matter with the Warden and also the Chief Proctor, but no action was taken against the errant students. The girls were instead asked by the varsity officials not to step out late night. 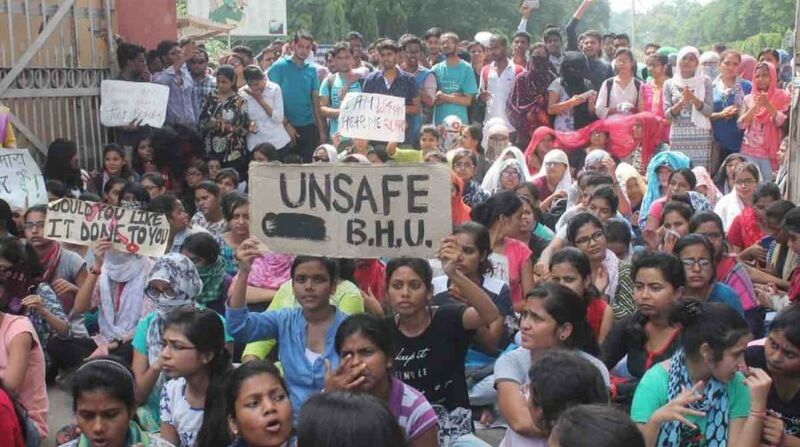 Demanding that the security be enhanced at the hostels and the campus, hundreds of girls had staged a sit-in the next day when the Prime Minister was in town on a two-day visit. The same night they had also staged a march along with boy students to the bungalow of Vice Chancellor G.C. Tripathi but were cane-charged by the police when they refused to back off. Irate students then took to violence, vandalised university property and torched some two-wheelers.